Monday - Friday 5:30 a.m. - 9 p.m.
Labor Day, September 4 9 a.m. - 1 p.m.
Rock climbing is a great team-building activity for families, co-workers, and school groups. All rock climbing classes are scheduled by appointment (429-3472). Certified belayers may climb during facility hours. Ages 5 & up. Download a DISC Rock Wall waiver. Trust your child with us while you work out at the DISC! Children aged 6 months – 11 years will enjoy supervised games, toys, and activities. 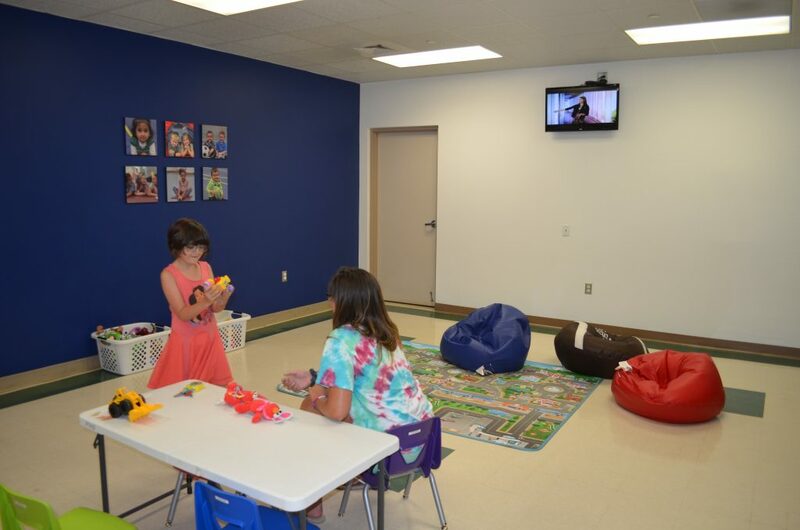 The playroom is conveniently located on the mezzanine. For more information, call the DISC at 429-3472. Days/Time: Monday – Friday, 8:30 – 11 a.m.
Monday – Thursday, 4 – 8 p.m. Saturday – 8:30 – 10:30 a.m.